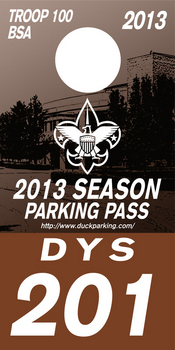 Parking for season reserved includes pavement spaces. Your space is guaranteed for the season. Autos, Pickups and SUV's only - No RV's, trailers or oversize vehicles. Season Reserved Price: $500.00.00 for the Regular Season Games - Pavement. Your space will be held until May 30, 2018 after which it will be released to the general public. Note: Alcohol consumption is allowed on this lot as per Eugene City Ordinance 20392, which amended Eugene City Code 4.190. Alcohol is only allowed on gameday, starting 4 hours prior to kickoff and ending when the game is over. Violations will result in the immediate loss of parking privileges with no refunds.